I have a family of 10 to feed and not a huge amount of money coming in. This means I have to make every penny count. How do I do this? 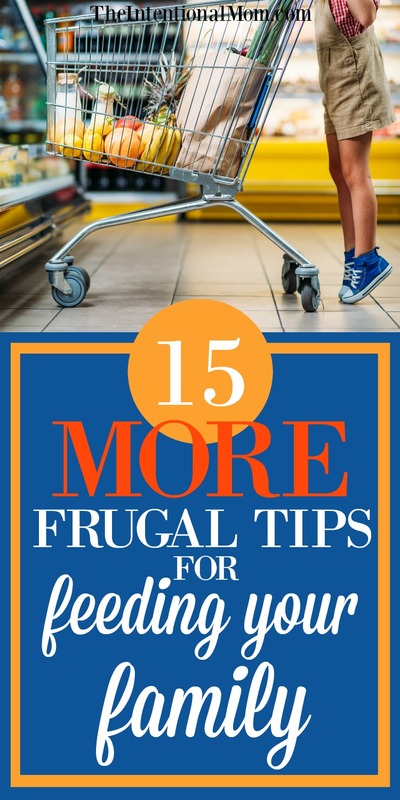 All kinds of ways, and I love sharing my frugal tips with you so you can get the most of your money when it comes to feeding your family. Believe me, I understand the demand of needing to make every penny count when it comes to buying groceries because the price of groceries seems to be on the rise continuously. But, I don’t have an income that necessarily goes up at the same time, which means I just have no wiggle room in my budget. Need help creating a budget? I’ve made it easy for you! Enter your email below to get my free 3 page budget template – you just fill in the details. This means I need to find more creative ways to feel my family. 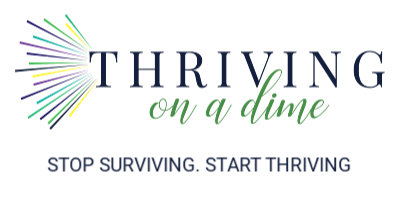 I have spent more than 22 years living a penny pinching lifestyle, and as a result we are now living debt free and raising a family that includes 8 children and counting! Here are the money saving, frugal tips you need to know to feed your family on the cheap! Make sure that they know that you will buy things when they are within your price range, and that is it. Once you have drilled this concept in, your life becomes so much easier because they can stop asking. This will take some time, but make it a good/better/best list. Update it as needed, and keep it with you when you are planning your shopping lists and then when you go shopping, too. Did you know that things go on sale at the same times each year? They do! You can find great prices on the same items in January this year, and then you will find great prices on those items in January of next year, for instance. You can check out a brief listing of what goes on sale by clicking on the link below. The Sale Calendar of Grocery Items Throughout the Year. It is amazing at how often something rings up wrong whether by computer error or human error. Be sure to visit the customer service counter for any discrepancies. You can also carefully watch the prices as your groceries are being scanned. According to 2010 figures, shoppers lost between $1 billion and $2.5 billion. Don’t be one of those shoppers! This seems kind of obvious, but it wasn’t to me. If you are not at the store, you can’t spend money. If you like name brand or more expensive things such as coffee, cereal, or even soups, sauces, or a variety of other items, mix less expensive, generic options with the expensive ones you prefer. You can also transition your taste for the expensive items in this way, adjusting the ratio to include less and less of the expensive option over time. in recipes for less expensive options that will go unnoticed. An easy substitution that I find often works is substituting vitamin D milk instead of half and half or heavy cream. Margarine for butter often works as well. If you are going to be tempted to make recipes that call for expensive ingredients that can’t be avoided, just don’t pin, save, or print them. Choose recipes that have affordable ingredients. In order to be efficient in the kitchen as I shared with meal prep tips, I make extra when I can, but when I do this I am quick to get the extra in the freezer. For example, if you brown three pounds of ground beef but are only using one at the moment, freeze the other two before serving dinner. If you have extra meat around, people will use it. The people in my family are famous for doing this with things like tacos where they tend to make their own. In this way, the healthy and generally cheaper options far outnumber the meat portion of the meal. In order to maintain control over portion control on expensive items like meat, you put the meat on everyone’s plate. No matter how many times I preach portion control with expensive items, certain people have no idea how to actually do this in my family. Keep your refrigerators and freezers clean, neat, and organized in order to avoid losing food that goes bad and therefore has to be thrown away. Use ground turkey instead of found beef whenever necessary. You can often find ground turkey on sale, and there are often coupons available for ground turkey as well. Almost always, ground turkey will be much less expensive. Healthy, homemade options like fruits and vegetables, homemade granola bars, or air popped popcorn for snacks will save you a ton of money over the prepackaged crackers, chips, or sweet snack options. Start your day with a healthy, homemade, and filing breakfast. Your family will consume less food if they are well fed from the get-go than they would if they found themselves hungry after only an hour or two. 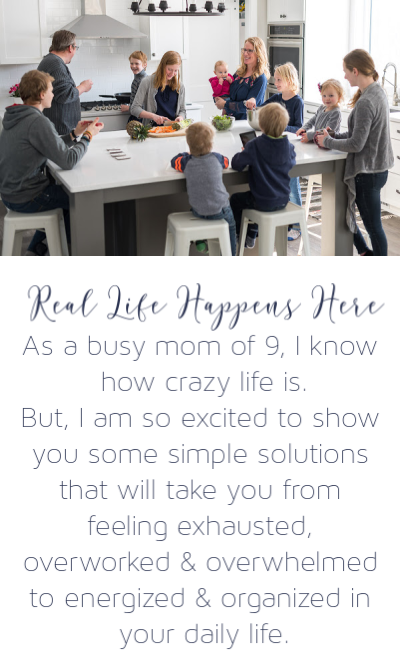 If you follow my menu plan, you will see that this is a regular occurrence in my home. If you are looking to feed your family on a shoestring, knowing a few tried and true tips can make all the difference. These tips don’t require much, but they do allow me to feed my family on the cheap without having to sacrifice eating things we enjoy. You can save thousands by using them, too. Great! I am so glad you are finding some tips you can use. Groceries are such a huge expense in any family budget! The envelope system is also great. Good for You! I like to drink 2% milk, but I buy Vitamin D milk instead, and mix it half and half with water. Since Vitamin D milk is often a little more money than 2%, it’s not quite a savings of 50%, but it’s still a much lower price, and it tastes the same. As long as I am still buying it when it’s on sale, I save a lot this way! what a great tip! Every little bit counts! Love your posts! I have always been a great cook and my family’s favorite meals are very frugal. Sometimes I plan a recipe around something I find on the bakery markdown shelf. Our grocery store has a second markdown in the afternoon where you can find artisan breads and brioche for $.35 each. Makes great grilled sandwiches and baked french toast. I also buy old bananas for breads and smoothies, old apples for applesauce and old pears (I like them best when overripe). I also try to serve meatless meals or meals with little meat by adding a lot of fresh veggies. My trick with veggies is to cook properly and season well with butter, garlic powder and parmesan cheese. My family’s favorites are homemade tomato sauce for pasta, lasagna, eggplant and chicken parm. I also make a lot of homemade soups. Portugese kale (with hot Italian sausage) soup is our favorite. Sometimes I am so freakin proud of myself that I brag my stories to my friends and family and they look at me like I am a cheapo. But I’m the one they call before they throw out the last night party’s Chinese take out. Really, they even give me their families unwanted garden veggies. I have great freezer friendly recipes for zucchini and tomatoes. Learning to cook and bake well is the key. Wow, you’ve got some great deals you can take advantage of. I am SO jealous! I so agree. I wrote a post called How to Be Frugal in the Kitchen were I talk about many of those same things. I so agree…learning to cook and bake well is so important! Not something that I naturally came by, but I did learn over 20 years of marriage 🙂 Thanks so much for sharing your thoughts! I live overseas and beef and dairy are really expensive compared to other groceries. One thing I (and most of my expat friends) do is to cut the cheese in a recipe in half or more. We are so used to eating this way that it tastes completely normal to us and when we visit the States we often get sick on the huge amounts of cheese Americans use! We also substitute ground pork for ground beef. To get used to it I would mix half and half for a while but eventually just switched to the ground pork. I still mix them when doing meatloaf and hamburgers because I prefer the beef taste but in most meals I can’t even tell the difference any more. I also use lard I’ve rendered myself either as an entire substitute or a partial substitute for butter in a lot of my baking. These are awesome tips! I agree with you wholeheartedly! I think many recipes do call for way too much cheese! I love the idea of ground pork. It is not something that I normally look for, but even if I needed to ask someone at the meat counter to ground it for me I think it would be a wonderful flavor substitution. Thank you for sharing! I love to experiment with food, so I often try out new recipes…with a twist. I will only use what I already have on hand, making a point to use at least one or two ingredients that will expire soonest (which is often something that can be served on the side of the new recipe). If the recipe calls for canned tuna and the closest thing I have is canned chickpeas, I use it! Because I only like to buy things at the “right price”, but I like to experiment whenever I’m in the mood. You would be surprised how often substitutions like this work out wonderfully, although occasionally the recipe becomes unrecognizable from its beginnings…but it is so much fun! (Note: When making baked goods, substitute more carefully.) This is a way to make whichever new recipe you choose, even the otherwise expensive ones, without busting, or even nudging, the budget. I totally agree! So many favorites are experiments in the beginning!